Deck cleaning is the first and most important process you need to do, before you stain your deck! The process of cleaning all dirt and stains out of the wood is not hard, but it’s the deck cleaning where most DIY’ers fail to take the most care. 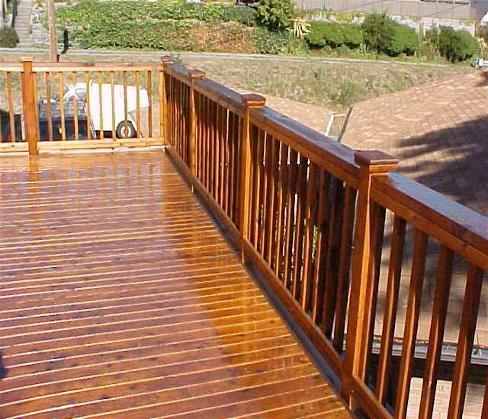 Remember, if you don’t take care to clean the deck well before you add new stain, all you are doing is sealing them under the surface for the next several years! In this article at DIY Reviews, we asked an expert, Red from Classic Paint in Charlotte NC, to help us share the best process for deck cleaning! The first step of proper deck cleaning involves removing everything on it! Including the furniture! First, take any and everything off the deck. Sweep the entire deck with a broom or leaf blower if you have one handy. As you are are deck cleaning, check for loose boards. If boards are loose, use either 16 penny spiral nails or 3-4 inch deck screws to tighten them down. Always be careful not to sand with a rough piece of sand paper. This can really show up after stain is applied. Always be sure to wear gloves and eye protection when deck cleaning. Chemicals can be hazardous! Let the deck cleaner sit for about an hour, then rinse off with hose. You can repeat this as needed till the deck is cleaned to your satisfaction. Semi-transpatant stain looks best and holds up better. You can also see the wood grain. Solid stain gets dirty faster. You can use solid over semi, but cannot use semi over solid. It is preferable to use a 9 inch roller with a thick full 1 inch nap (holds more stain). 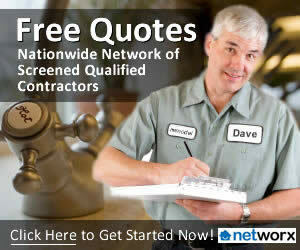 For more tips, please visit the Home Improvement section of our website. Do you have any Deck Cleaning Tips to Add?